Kevin Porter Junior: The biggest story that never was for USC? On Thursday, he was the biggest story of the game, the most talented player on the floor and maybe, possibly, the key to saving the Trojans’ season. By Sunday, he was gone. 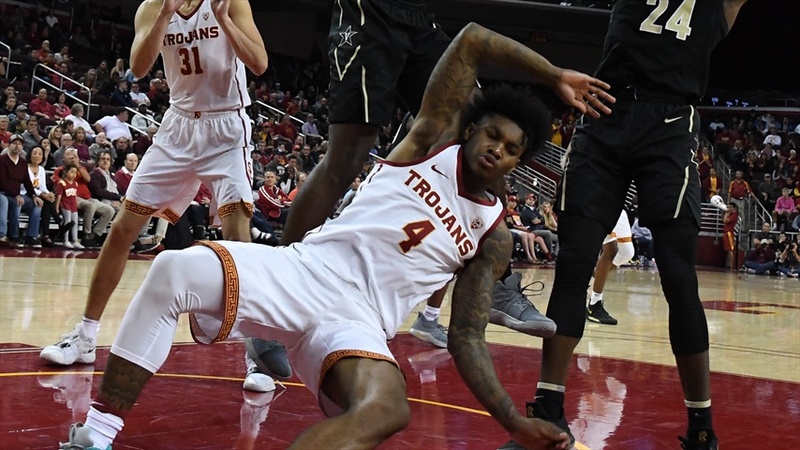 There is no parallel to Kevin Porter Jr.’s short tenure with USC basketball, one that marries the program’s most significant recruit in a decade to the team’s most disappointing season in about as long. There is barely even a point of comparison for Porter himself, the 6-foot-5 swingman with an offensive game that boasts more tools than Black and Decker. You have to go back to 2008, and DeMar DeRozan, to find a USC basketball recruit this touted – except Porter demonstrated significantly more polish to begin his freshman year than DeRozan had. You have to go back a year earlier, to 2007, to locate one of greater importance to USC basketball – except Porter Jr.’s physical potential vastly outstrips O.J. Mayo’s. All it takes is a cursory glance at his game to see the facsimile of a young James Harden: The similar, the lefty stroke, the advanced footwork, the way he can score from virtually anywhere inside the perimeter. Porter just needed stay healthy and out of trouble, and a spot in this year’s draft lottery beckoned. 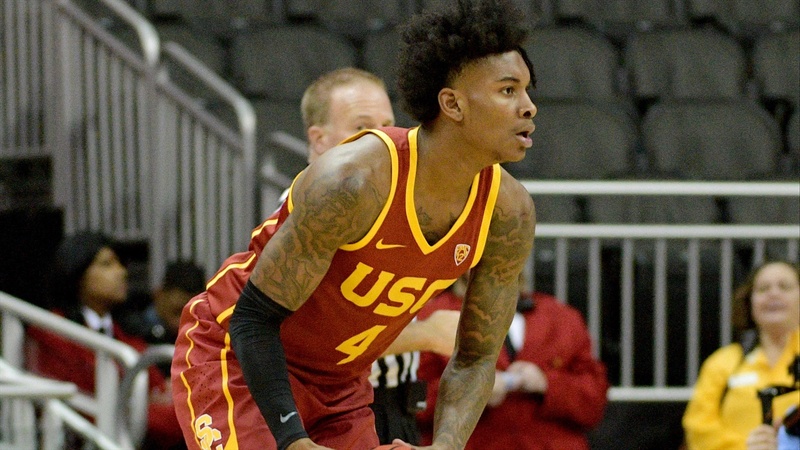 Kevin Porter Jr. was the future of the USC team before injury and suspension took hold. Neither of those two things happened. After averaging 14 points on 53.8% shooting in his first five games as a Trojan, Porter spent most of the next seven weeks on the shelf due to a thigh bruise. He returned on Thursday for USC’s overtime loss against Oregon State, only to then be suspended indefinitely prior to Sunday’s game against Oregon for an undisclosed conduct violation. For his part, Porter tweeted a statement on Monday indicating that he’ll stay with the team for the duration of the season, in whatever capacity that might ultimately be. He ostensibly could be back on the court next week. He also may never play another minute in cardinal and gold. The endgame will likely be unfulfilling, because that’s all USC basketball has been in 2018. So it goes when USC is only four games into conference play yet virtually drawing dead for a spot in the NCAA Tournament. At 9-8, the only plausible avenue left is to win the Pac-12 tournament – not out of the question, given the mediocre state of the conference, but nevertheless unlikely. The Trojans need Porter and they need him in a starring role. That wasn’t supposed to be the case, not with Bennie Boatwright returning for his senior season, a full year of former five-star Duke transfer Derryck Thornton running the offense and several more veterans filling out the roster. Porter was always more talented than his peers but he figured to display those skills in a more ancillary role, less a fulcrum than a lever. Instead, in five short games, it became obvious that USC would be Porter’s team sooner than later. That may not be how Andy Enfield drew it up but proficiency does not stand on ceremony and to watch Porter even against small school competition was to understand that he can do things now, at 18 years old, that the rest of the Trojans’ roster simply cannot. Had things broken differently, USC could have been college hoops’ equivalent of Luka Doncic’s Dallas Mavericks – a child leading them all so much sooner than anticipated. Yet two months later, they’re adrift. None of this is the rest of the roster’s fault. The Trojans, already short on bodies with just 11 scholarship players, opened preseason ravaged by injuries and never quite regained full strength in the months since. From Elijah Weaver’s ankle to Chuck O’Bannon’s finger to Porter’s thigh, some key component of the backcourt has been missing all year long. Toss in the suspension – and eventual transfer – of Jordan Usher, and a thin squad spent stretches of the nonconference schedule looking borderline threadbare. Those who have played, meanwhile, aren’t always up to what is asked of them. Nick Rakocevic has been a revelation in his third season but a team with USC’s ambitions shouldn’t depend on him to the degree they have. Jonah Mathews is a great shooter whose efficiency has sagged under the weight of a greater role in the offense. No one in the current lineup, to date, has proven capable of dependably getting to the rim against major conference opposition. Porter can. And, it should be noted, that until the conduct issue, none of this was his fault, either. There was snickering about his injury, of course, an unfortunate byproduct of a sports medical lexicon that teaches fans to wave off anything short of a sprain or tear. It should go without saying that any sort of leg injury is cause for being judicious. There should be even less need to point out that Porter, as an obvious one-and-done candidate, has every right to prioritize his larger financial well-being over a single season of college basketball that most players of his caliber would opt out of, given the choice. None of that is easy for USC basketball to swallow but these are the complications that accompany those one-and-done premium talents, the yin to the yang of their game-changing ability that, when the stars align, can elevate also-ran programs into contenders and contenders into champions. It’s college basketball’s high-roller table and the Trojans finally have a seat after too many years of vying for small pots against other minnows. Sometimes, the chips just don’t fall the right way. Barring something unforeseeable, Porter will not be the player to take Trojan basketball to that next level. Perhaps that alone is reason enough to make Enfield stand firm on the suspension, should Porter’s punishment warrant the crime; the season is guaranteed to be a letdown whether or not he plays. Unfortunately, the same will likely be said for Porter’s Trojan career. His talent always bordered on something unimaginable at a school like USC. But no one imagined it would play out like this.